I'll be posting my work for EDET-632 on this page. Posted above is the link to my groups Anthro Tech Assessment for East High School in Anchorage. In this assignment, we researched and evaluated the technology resources available to teachers and students, as well as our schools general attitude toward technology in education. Below, you'll find links to the various parts of my Digital Story project. Story Map (link): This is a brief overview of what my digital story will be about. It describes the basic arc and progress of the story, including the three primary problems encountered, the resolution, and how the characters grew throughout the journey. Story Script (link): This is the script for my forthcoming digital story. Basically, I'll act as a narrator and read this copy as the visual component of my story unfolds in the form of film and pictures. Story Table (link): This story table is designed to combine the text (narration) and visual components of my story into a cohesive plan. Basically, it's a condensed and simplified version of a story board. Although less thorough then story board, a story table should work fine for the simple and short story I'll be producing. Final Video (link) Here's my finished product: A three minute narrated digital story. Reflection (link) I wrote a brief two-page reflection on my experience creating a digital story and how I might implement a similar assignment in my classes. Mock Rubric (link) I created a mock rubric for a digital story that I might use should I have the time and inclination to assign one this semester. Over the course of the semester, I gathered a bundle of online resources that have helped my get through my first months in the classroom. Below is a list and brief description of each. Although I'm teaching an American Literature class, one of my biggest goals for the year is to teach students practical writing skills that are transferable to their lives outside of class. Gatsby is great, but as my 11th graders rapidly close in on the real world, they need to know how to write cover letters, resumes, and formal emails. The OWL Purdue Writing Lab is an incredible resource for instruction ideas regarding these and countless other skills. I stumbled upon this website while searching for resources for a unit I was teaching on the The Grapes of Wrath and The Great Depression. The website is dedicated to the work of Allan Lomax, the legendary 20th Century folklorist. The site contains hundreds of hours of recordings, thousands of images, and interesting anecdotes from the travels and work of Lomax. I pulled a number of items from this site to use as 'supplementary texts' to accompany books my 11th grade American Literature course. I used this website as a resource for teaching higher-level reading and writing lessons. They have a great list of handouts to use for lessons on grammar and writing. However, most of the content is more appropriate for older high school students and those bound for college. Nowhere in our district standards is media literacy mentioned. However, my students are perhaps more exposed to advertising and media in general than any other generation. One of my goals is to give students the critical skills they need to analyze and interpret the sorts of media they encounter every day in order to become critical and conscious consumers of the tremendous amount of information their exposed to. Poetry Out Loud is a poetry recitation contest created by the National Poetry Foundation and the National Endowment for the Arts. This semester, my three English 11 classes participated in our own class-wide contests. Students choose a poem from the hundreds published on poetryoutloud.org, memorize the poem, analyze the meaning, and recite it in front of the class. 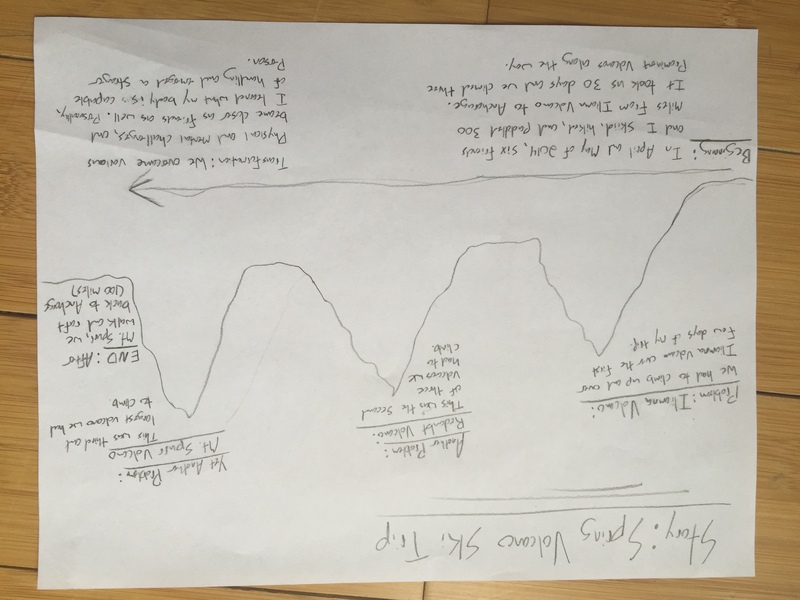 This assignment is really about cultivating strong public speaking skills; Poetry Out Loud offers a variety of resources to work on public speaking and we spent a few lessons on the topic. The top student from each class has the opportunity to go on to a school-wide contest, and from there to the district, state-wide, and even national contests. Maintained by the International Literacy Project and National Council of Teachers of English, I used this website primarily for lesson plans and ideas for teaching grammar and writing methods. My students have a huge range of reading abilities. Many aren't able to tackle our core texts without serious help from me; other students are reading at such a high level that I have a hard time challenging them. For extra credit, I leave a pile of my New Yorker magazines on a table in the back of room; students choose an article, then respond to a prompt I give them. I also allow them to choose more current articles of the New Yorker website. Googling lessons plans for a particular book/topic returns of dozens of results with marginal and crumby material. This is one of the few websites I've found for quality and useful lesson planning material. The site is in subject areas, and English Language arts section is chock full of lessons on important texts from America and abroad. I haven't utilized a lesson plan in it's entirety; rather, I pick through particular lesson for snippets of information, activities, ideas, etc. The content is very well thought, thorough, and authored by respected folks in the field. Published by the University of North Carolina, this website served as my primary resources for a unit on realism and reconstruction-era literature. The site is a gold mine for full texts and analysis, and features a handy amount of supplementary texts like pictures and audio that help put the stories in a historical context. The site is a bit old school and cumbersome to navigate, but it's one of the corners of the internet where you can easily spend hours meandering around and learning. The value in this site lies in the detailed and readable biographies of countless authors and a sampling of their work. Having been out of school for years, the knowledge base I built in English and literature courses is waning. This site is a great resource for brushing up on authors from various eras of literature. Biographies are very well written, readable, and highlight only what you really need to know. Most biographies are accompanied by a solid sampling of the authors work. It's no secret that public schools aren't flush with funds these days. That means our English department can't afford all of the books we'd like to have on hand, or as many copies of said books. Project Guttenberg is a non-profit that publishes all sorts of texts, both prominent and obscure, full length books and short stories, on their website. Downloading and printing said stories is a snap, and this site has been a great resource when I need to find a copy of a story last minute. One idea that I consistently try to convey to my students is that their writing is largely an extension of their thinking. One way I do this is by incorporating story telling and podcasts into the curriculum. By making students write something that they will later be saying out loud, it forces them to adopt a more colloquial writing style that mirrors they're everyday speech. Story Corps is a great place to find examples of quality and interesting audio stories and podcast. A big, popular site with endless of amounts of content related to teaching, Edutopia is a fascinating corner of the internet. Edutopia focuses less on discipline-specific material and more on big-picture topics. It's a great place to go to learn about things like Common Core, brain-based learning, formative assessments, etc. Many of the 'big' education sites I've stumbled upon are tacky and lack real substance. Edutopia differ in that I have found the content to be very well written and well thought out. For my ILP, I researched podcasting for use in my 11th grade English classroom. Below is a link to a complete write-up and reflection about what I learned and how I will implement podcasts in my class, as well as a podcast I completed myself for practice using the things I learned. In this brief paper, I offer my thoughts on the practicality and usefulness of a Reddit forum dedicated to teaching English Language Arts. You can read my reflection here.